Yes they are coming: the World Mergers. Players going inactive means many servers are slowly dying out, which is bad news for active players. Luckily Kabam has come up with a solution: Merge a few relatively inactive worlds into one more active one. But this will of course have some consequences, especially for players playing in multiple worlds. I do not have all information yet, but Kabam has made an excellent post on the forum with a lot of useful information. For completeness I have copied the contents of that post below, and will amend any info I find that is not in there. I urge all players, but especially those with multiple worlds to read it carefully and start preparing! Any questions? Feel free to ask in the comments and I’ll try to answer. The forums are of course also a good source for additional info, so check them out as well! 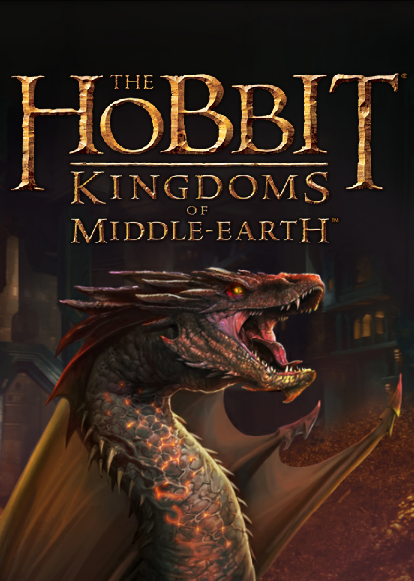 It’s January 2015 and that means World Merges for The Hobbit: Kingdoms of Middle-earth! Forge new friendships and compete against even more players to dominate the Middle-earth map. NOTE: Not all Worlds will be eligible right away. Eligible Worlds will receive more information regarding official World Merge details via in-game Messaging as we approach the Merging Period. A World Merge will take two or more Worlds (servers) and combine them into one new World. For those of you with only one World active on your Kabam ID, or only one Kabam ID out of a group of Worlds selected to be merged, this will be a simple and straightforward process. Your Kingdom will carry over to the new Worlds with only a few small changes. Special rules will take place if you have a Kingdom on at least two of the merging Worlds. You will need to select which Kingdom you want to continue with and be merged into your other Kingdoms on a new World. See below for a list of items that will be merged into the new World if you have a Kingdom on one or more of the Merging Worlds. What Will NOT Be Merged? If you have more than one Kingdom on a group of Worlds set to be merged, then you will have to choose which Kingdom to continue with as your primary Kingdom. For example, on your Kabam ID you have Kingdoms on World X and on World Y, and these Worlds have been selected to be merged into new World Z. Because you have a Kingdom on two or more Worlds merging together, you must decide which Kingdom to carry over. Q: How will you deal with duplicate names from the World merge? Q: What if the Regent and Vice Regent do not merge? Who becomes the Regent of the Alliance? A: If there are no Regent or Vice Regent, an Officer will be appointed. If there are no Officers, the Member with the highest Might in the Alliance will become the new Regent. Q: Regarding Leaderboards, what will be merged from my Kingdoms? A: Might Leaderboards will be merged from all Kingdoms, but Troops Killed and Might Gained Leaderboards will only be applied from the chosen Kingdom. Q: What happens to the Camps and Marches I have existing during the merge? A: All Marches and Camps will be reset on the chosen Kingdom and Resources will be lost. Q: Will I lose my progress on Building, Training, Researching, and etc? A: The progress will be stopped but the Resources used will be refunded to the Kingdom. Q: If I do not have Lake-town in my chosen Kingdom, will I still get my Pearls merged? A: No. Also, Pearls will also exhibit the chosen Kingdom’s limit. Pearls will not exceed the chosen Kingdom’s capacity. Q: Will I lose my other Kingdom’s Gear if my chosen Kingdom already hit the Gear capacity limit? A: No. You will be able to exceed your Gear capacity limitations during the merge; however, you will not be able to acquire new Gear until you go below your capacity limit. Q: Do Gems embedded into my Gear carry over from my other Kingdoms? A: Yes. They will still be embedded into the Gear that was merged. Q: If I have the level specific Chests and free relocation Items on other Kingdoms, will they merge over to the chosen Kingdom? A: No. Only level specific Chests and the free relocation Item on the chosen Kingdom will remain. Q: Will the Calendar prizes change when Worlds merge? A: Although possible, the Worlds that merge are usually similar in content and lifespan and should contain similar Calendar prizes even if it is different. Q: Will my Gear stay equipped on my Heroes? A: Yes. All Gear from your chosen Kingdom’s Heroes will remain equipped with the same attributes, upgrade level, and embedded Gems. Other equipped Gear from other merged Kingdoms will still carry over but will no longer be equipped. Q: If I did not use my Daily Free Play for Galadriel’s Gift will it carry over? A: Yes for the chosen Kingdom only. Q: Will my City Guardian and Permanent Buffs be carried over from my other Kingdoms? A: No, only your chosen Kingdom’s Buffs will be applied to the new merged World. Q: If I have a 2 hour Protection Rune Buff active before the merge, will it carry over to the new World? A: Yes, additionally 24 hours will be added to your existing 2 hour Protection Rune Buff status. This entry was posted in Articles and tagged game, information, kabam, kingdoms of middle earth, KoM, merge, mergers, server, update, world by beardmonkey. Bookmark the permalink. The list is missing world 236, it was merged(59,60,61) in January..
What happens if you did not understand the world merge because you havent played in awhile and now you have selected the wrong world to merge and your main account is gone? Is it lost forever? Yes, I have heard there is nothing you can do. You can try placing a ticket. My city has disappeared and I can’t access the new world. Has anyone else had this problem? My city was on Gandalf161. uhm…nope…you chose the right (main) world for merger? Does any one know when are the rest servers going to merge? Thanks 🙂 so we can say that the merge is over. Just to let you know, 59, 60 and 61 just merged. yup all should be merged now! thanks! What will happen to any items/gear u have in a world and u decide not to merge? Having a major issue with a single kingdom merging into a new combined world today. This is my first merge. Opened the game to find myself in the new merged world. When I try to leave this kingdom (to visit my other kingdoms) I get a Fatal Error Message and a button to restart the game. Have restarted game, have closed game completely, have shut off tablet, and have been sad as I cannot leave this newly formed world. It opens to the kingdom and everything appears to work, but go to Alliance Tab or try to visit another world and the Fatal Error message and button appear. Wonder if I did something wrong and it is now causing a program conflict. Did you or others have similar issues with the previous merge of worlds? I am looking for an update that will fix this soon. Thanks. Perhaps it is that I left my alliance and was requesting to join another alliance, while under Kabam’s automatic protection is what is causing a program issue . Tried again to switch worlds and view alliance, both came up fatal error. I submitted a ticket to Kabam. I will follow up with what happens. Update: After submitting my ticket and discussing issue with customer service the issue was resolved, everything went back to normal the same day. I’m in few worlds, gandalf 1 is one of them, I’ve pressed the merge button for this world to be merged, is that now my main world? Or can I take several accounts over? I think it only has to do with the accounts in the specific worlds that are merging. So if gandalf1 merges with 2 other worlds and you only have one account among all 3, that will be your main for that new world. It will have no effect on your account in say world99 which is not merging with world1. If you have 2 accounts accross the worlds merging together, THEN you have to choose which will be your main and which will get deleted for that new world. Again, does not affect accounts in other worlds, just in the ones merging together. I have a small one in world 1, and a well developed one in 42 and my main in 99. None of them will get merged with eachother so i will keep all 3 on the new worlds. All accounts you have in the worlds that will merge with Gandalf 1 will merge into the account you selected. Is it known whether worlds 151 & 152 will merge together?